Dr. C. J. Ransom was an associate editor and contributor of Pensee and Kronos, a contributor to the SIS journals Chronology and Catastrophism Review, INFO and Velikovsky Reconsidered, and author of the book, The Age of Velikovsky. He was also the Executive Director of the US tax exempt organization Cosmos and Chronos. Division, Fort Worth, Texas, Vemasat Research Institute, and other research facilities. His diverse background includes plasma physics, aerospace applications, computer aided analysis, technical computing management, business process re-engineering, cycle time reduction, and systems architecture. Ransom now performs plasma experiments. modeling crater formation on asteroids, moons and planets, and has published information about those experiments. He also delivers lectures and talks before scholarly and scientific societies on catastrophism and Velikovsky. C. J. Ransom, "How Stable is the Solar System? ", Velikovsky Reconsidered, Doubleday, 1976. C. J. Ransom, Wal Thornhill, "Plasma Generated Craters and Spherules, Part 1", IEEE Transactions on Plasma Science 35 (4): 828-883 (1 Aug 2007). C. J. 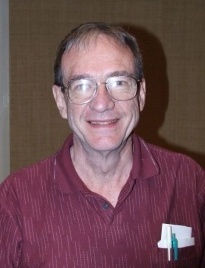 Ransom, M. Acheson, "The Plasma plus Gravity Universe May Not Need Dark Matter", 2007 IEEE Pulsed Power and Plasma Science Conference, 34th Annual ICOPS (Albuquerque, NM, 17 Jun 2007). Wal Thornhill, C. J. Ransom, "The Plasma Z-Pinch Morphology of Supernova 1987a and the Implications for Supernova Remnants", Conference Record, 33rd IEEE International Conference on Plasma Science, p 369 (2006). C. J. Ransom, Wal Thornhill, "Laboratory Reproduction of Possible Solar System Plasma Effects," Conference Record, 33rd IEEE International Conference on Plasma Science, p 370 (2006). C. J. Ransom, Wal Thornhill, "Plasma Generated Spherules", Bulletin of the American Physical Society 50 (2): 78 (Apr 2005). C. J. Ransom, "Bode's law and the origin of the solar system", American Journal of Physics 48 (1): 4 (Jan 1980). H. Schl?ter, J. Durham, C. J. Ransom, "Density Modulations in Radio Frequency Plasmas"", The Physics of Fluids 8 (8) (Aug 1965). Schl?ter, H, and C. J. Ransom, "Hybrid Ion-Electron Resonance", Annals of Physics 33: 360 (1965). C. J. Ransom, H. Schl?ter, "Fluctations of Electrodeless Ring Discharges in Static Magnetic Fields", Physics Letters 13: 313 (1964). C. J. Ransom, H. Schl?ter, "Losses in RF Ring Discharge Plasmas", Bulletin of the American Physical Society 9: 565 (1964). C. J. Ransom, H. Schl?ter, Proceedings of the Sixth International Conference on Ionization Phenomena in Gases 2: 501 (S.E.R.M.A., Paris, 1963). C. J. Ransom, H. Schl?ter, "Helical Structures in R.F. Discharges", Bulletin of the American Physical Society 8: 130 (1963).